The Swedish composer B. Tommy Andersson has been appointed the composer-in-association with the BBC National Orchestra of Wales. Their first joint event will be the orchestra's concert on October 3, when the programme will include Andersson's Garden of Delights. Andersson is not a particularly well known composer in the UK and I spoke to him by phone to find out more about the residency and his work. 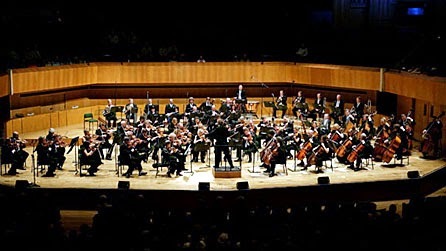 My first question was how a Swedish composer came to be composer-in-association with the BBC National Orchestra of Wales (previous incumbents included Michael Berkeley and Simon Holt). The answer to the question is Thomas Søndergård, the orchestra's Danish Principal Conductor. Søndergård likes Andersson's music a lot, and the residency was his idea. During the year that Andersson will be with them, the orchestra will be performing seven of Andersson's orchestra works plus a new piece. The works to be performed will include Garden of Delights (which Andersson premiered with the Royal Stockholm Philharmonic in 2009), his large scale piece Satyricon (premiered 20014) as well as a composer portrait concert. During Summer 2015 there will be the first performance of a new work to round things off. Whilst Andersson is in Wales he will also be doing workshops and masterclasses with composition students in Cardiff. Andersson is not only a composer but a conductor, and he will be conducting the BBC National Orchestra of Wales in an all Swedish concert. Andersson talks about how Swedish music is not as well known as you would expect. He thinks that the Swedes do not have such a strong cultural self esteem for all their significant output. Each of the other Scandinavian countries has a significant major composer, what Andersson calls a 'shining bright star', but Sweden's significant number of composers seems to have no single one to match. The concert, which doesn't include any of Andersson's own music, aims to make Sweden's music better known. 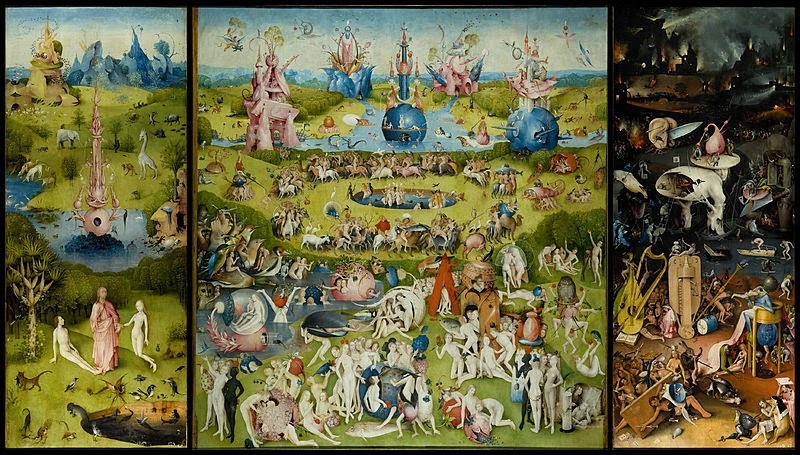 Andersson's Garden of Delights is based on a the Hieronymous Bosch picture Garden of Earthly Delights and Satyricon is based on the Petronius story (rather than the film). Other Andersson works seem to have descriptive titles, so ask him about the source of his inspiration. He admits that his is dependent on extra musical impulses when developing his works, picking paintings and mythological stories. In this he says that he is probably some sort of Romantic, though he does not regard his music as Romantic but says that it does have a tendency towards it. Andersson was born in 1964 in Boras in South-West Sweden and showed precious talent as a composer, writing music at the age of 11. Lessons with local musicians in Boras, developed into study composition with Hans Eklund and Sven-David Sandstrom in Stockholm. He was also studying conducting, and during the period 1991 to 2001 he concentrated on his conducting career, becoming one of the most successful Swedish conductors of his generation, but finding little time for composition. Since 2001 he has concentrated more on composition. When I ask Andersson to describe his music he laughs and turns the question back on me (how would I like to try and describe my own music). But he then bravely attempts to quantify it. He talks about his music been audience friendly, and musician friendly, based on tradition but not pastiche. His music tends to be eclectic which he regards as no bad thing. It reflects how our time is, and he wants to be inspired by what has happened before. He says that he tried to be a modernist when younger, but it never suited him. He was never a good modernist and in the 1980's was regarded as old fashioned. He feels happy that nowadays we are more accepting; that he can write the music he wants to write and does not have to pretend (as you had to in the 1980's). 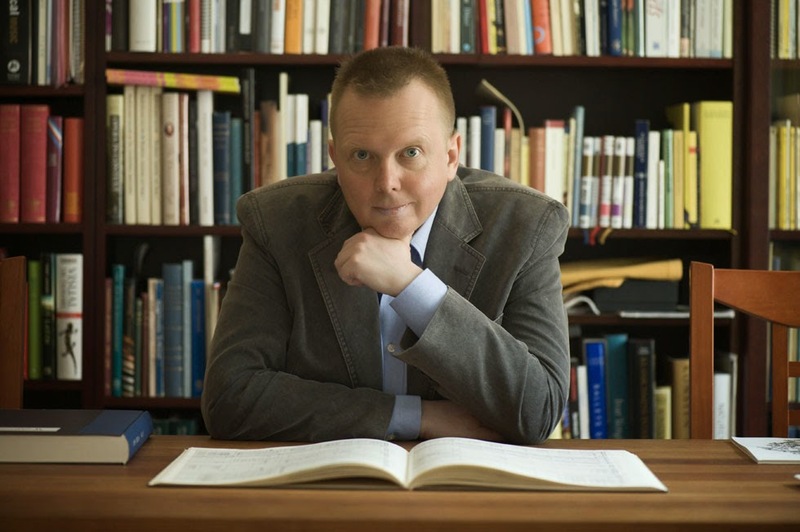 As a conductor as well as a composer, Andersson talks about how his musical style is influenced by being a conductor as he takes impressions from the music he loves. He has not deliberately written in another style, but admits that you can hear the influences in his music. Andersson regards the orchestra as his instrument, and tries to use it in as refined a way as possible. His music is regarded is being idiomatic for the orchestra, and though his style is eclectic there is something recognisable about an Andersson piece. In our discussions, I return to the subject of his orchestral work Satyricon which is being performed by the BBC NOW in 2015. When he first mentions it, Andersson refers to it as a large scale piece, not just using a large orchestra but also with a largeness of expression; Andersson calls it bombastic. Its subtitle is 'choreographic fantasy, and Andersson describes it as an imaginary ballet. The work is dedicated to a choreographer friend who had died when Andersson was writing the piece, and the friend's choreography inspired Andersson when he was writing. Satyricon is a narrative work, based on Petronius. Andersson likes music that is narrative, but feels that this type of music is not in at the moment. The piece was commissioned by the Swedish Radio Orchestra fifteen years ago (as Andersson puts it, when they had lots of resources). It is a piece which requires large resources, and Andersson says that as a rule he tries to avoid overly large scale pieces as the forces require obstruct the music being played. But he admits that is is nice to have one large scale, flamboyant and exuberant piece in his catalogue. Andersson has conducted Satyricon in Stockholm and in Prague. In Prague the audience was conservative but the piece received five curtain which Andersson feels show the power his music has to communicate. And Andersson does want his music to communicate to his audience. He feels that this is perhaps a rather old-fashioned attitude, but he feels quite strongly that music has a purpose. For Andersson, good art should reach people. As a conductor, I wondered how it felt for Andersson to conduct his own music. He talks about it being a very special thing as your music is integral with you personality. He mentions another Scandinavian composer-conductor, Esa-Pekka Salonen, and says that they both share the same attitude, that it is necessary to treat your music as if it is by another composer and step outside it. But Andersson says that he does enjoy conducting his own music, that it feels quite natural. He also points out that there are not that many composer-conductors. Andersson makes his main living as a conductor, and is also a professor at the Royal College of Music in Stockholm. This means that he feels he does not have to write a piece unless it has a meaning for him, and he will turn down a commission if it is not right. Andersson does not want to compose more pieces than he can manage. He talks about their being so much good music around, saying that there is no point putting scores on the shelves not to be played. For Andersson, being a composer comes with a sense of responsibility, purpose and meaning. http://www.bbc.co.uk/events/eh8wrz - 3 October 2014 - B Tommy Andersson, Strauss and Sibelius, Thomas Søndergård conducting BBC NOW. http://www.bbc.co.uk/events/e5mp5v - 20 January 2015 - B Tommy Andersson conducting BBC NOW in an all Swedish concert. http://www.bbc.co.uk/events/ew52fx - 25 February 2015 - B Tommy Andersson Composer Portrait with Søndergård conducting BBC NOW. http://www.bbc.co.uk/events/e9cg9r - 5 June 2015 - B Tommy Andersson Satyricon and Mahler, Thomas Søndergård conducting BBC NOW.